The final class of the session at the Plaza started smoothly, with all the kids rushing to sit in a circle as soon as I stepped in the door. We sang all the favourites, like Roly Poly, Sticky Sticky Bubblegum, and Little Green Frog. 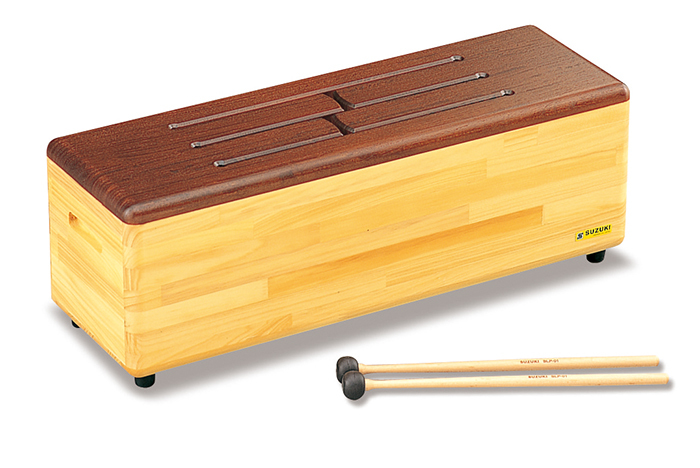 However, the big favourite of the day was the Vibraslap, which we shared around the circle for Instrument of the Week. I played a groovy guitar line, and everyone started bobbing along as everyone added a bit of pizzazz with the Vibraslap. One snag was that I had to urge the grown-ups to grab onto the parachute, but hopefully by next session they'll need a bit less encouragement. The kids loved their maracas, and especially the recorders, and I'm looking forward to seeing everyone again in the New Year! What a way to end the session at Robertson House! We were joined by none other than my mom, who happily played some festive tunes on the piano throughout the class. A big highlight was our very special instrument of the week, the cello! The participants first sat and listened as the piano and cello played Silent Night together, then they played along to other tunes with the instruments from our jam bag. So fun to jam with a piano and cello! Everyone was also happy to receive a certificate and gift for their attendance at Rainbow Songs this session. We had a great session and I look forward to many more great sessions at Robertson House! Lots of energy and smiles today with the kids, parents and staff at CultureLink! For our last class, we sang through some of the hits of the session, clapping our hands for Sticky Bubblegum, and looking around at colours for What Are You Wearing? The kids had a great time singing and dancing along to The Hokey Pokey and freezing in silly poses when it came time to exclaim, "That's what it's all about!" It's all about having fun with music! I'm so grateful to have had the opportunity to meet and work with the great people at CultureLink. Great session! Although we had a small class today, people sang and played their hearts out! The kids enjoyed exploring and playing the African tongue drum. They took turns playing with the mallets and kept a steady beat. A new little girl screamed with delight the entire time we played with the parachute. Today was another big group, with big energy. During Hands Together, one of the kids was doing a bouncy sitting dance that I could only describe as "groovin'". With the larger group, I took a bit more time introducing songs to make sure I could refocus everybody, as it was easy for some kids to get distracted. It was a bit difficult to get some of the kids on their feet for Walk and Stop, but once they were up we were able to run through a few more movement songs to keep them going. Despite a low turnout this week at our CultureLink class, we still had a fun time with all sorts of activities. With only two children and their mom, plus some enthusiastic staff, we managed to crank up the energy with our rendition of B-I-N-G-O. The kids did a great job of quickly moving through all the letter signs as we sung. We also had a great time learning some tambourine skills later in the class. Hopefully we get more participants for our last class next week! Today I passed out bells to all the participants and had them practice shaking the bells five times in a row to sing Hurry Hurry Drive the Firetruck. We then sang Twinkle Twinkle, Shake It Baby Shake It, and finished with a big finale of Jingle Bells. We explored the Brazilian instrument, the Caxixi, for Instrument of the Week and had a great jam session. Today was a bit strange. We started late because there was a meeting going on with some of the moms, and the staff member who normally sits in on the classes was caught up with another pressing matter at the shelter. Because we started late, some of the kids were pretty tired and ready for bed for a chunk of the class, but a couple of things brought the energy up. The first was that after several weeks of one of the kids requesting a particular song about a fish that she couldn’t remember – and me trying every fish song I could think of – it turned out to be Baby Shark! The second thing that brought the energy up was, undoubtedly, the instruments for jam time, and a smiling rendition of Jingle Bells. We had a smaller group today, but it was also more intimate and connected after the past few weeks of gigantic groups. We started off with lots of hands-focused songs, and after last week’s Hokey Pokey the kids were great at finding their lefts and rights. However, it was the stomping that really got them going, and we did an extra long version of I Have a Little Bicycle, with lots of stops and starts. The kids mimed ringing the bell on the bicycle, which is something I’m definitely going to incorporate into future versions of that song. When we got up on our feet, I brought out Walking, I’m Just Walking Along for the first time, and everybody took to it instantly and delighted in the changes of activity within the song. Even though the group was smaller, it was no less dynamic! As cool, snowy winds brushed into the city, it was time to bring out the jingle bells at Robertson House! As soon as we put the bells around our wrists and sang the words “Dashing through the snow,” the kids jumped up and danced as the parents enthusiastically joined in on a holiday favourite. What a fun class! Looking forward to the rest of the session!